Avoiding a Facebook Fail: The Basics of Facebook Ads for Businesses - Powered by technology, our unique program uses software and algorithms to conduct a custom online competitive edge! Over 2 billion Facebook members are active users, checking their feeds daily. If you're a small business owner, that's too many potential clients to ignore! Have you tried Facebook ads in the past only to have a Facebook fail? Have you ignored them because you've heard others say there's no return on investment? When done right, Facebook ads offer a huge return on investment. They generate leads and conversions. Read on to avoid a Facebook fail with your ads. Once you've identified your goals, figure out how you'll measure ad success. Take a look at your number of followers and engagement rates. You'll use the current numbers as a benchmark for comparison with your ad campaign. The Power Editor is where you create ads. 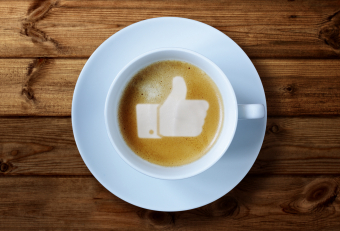 Boosting a Facebook post for likes isn't the same as advertising to your target market. For engagement that converts your audience to customers, you need a real Facebook ad. This happens in the Power Editor. It's within the Power Editor that you customize the audience who'll view the ad. You'll need an existing business page on Facebook. If you don't already have one, create one now. Set up your audience in the Power Editor based on factors such as location, age, and relationship status. Household income, job titles, and interests are other ways to create an audience. Use the information you already know about your target market. Building trust is how you gain customers. Offering something for free establishes trust between you and the customer. A free eBook or course is a great place to start. The reason for the free offer is to attract users to your website or landing page. Once there, they'll input their email address in exchange for the freebie. Now you have their email address for further marketing. Once a customer is on your landing page giving you their email, offer a small upsell. Make it a small product with a good profit margin. The upsell product offsets the cost of the Facebook ad. The Facebook Pixel is code that you embed on your site. It helps track customers after they've come to your site. Once the customer has the Facebook Pixel, you can create ads designed specifically for them. Remember that people use Facebook for fun, not to shop. Aim your marketing campaigns toward user interest. Romance your customers with interesting content on a consistent basis. Once you have consistent engagement, then use Facebook ads for conversion. Using Facebook Ads requires research into your target market. Avoid a Facebook fail by knowing your audience. Once you know their likes and interests, use great content and free offers to get them to your website. Try different types of ads and track engagement and click-throughs. If one type of ad doesn't work, switch to another. Facebook is a huge market you can't risk ignoring. Need help? Contact us with questions here.